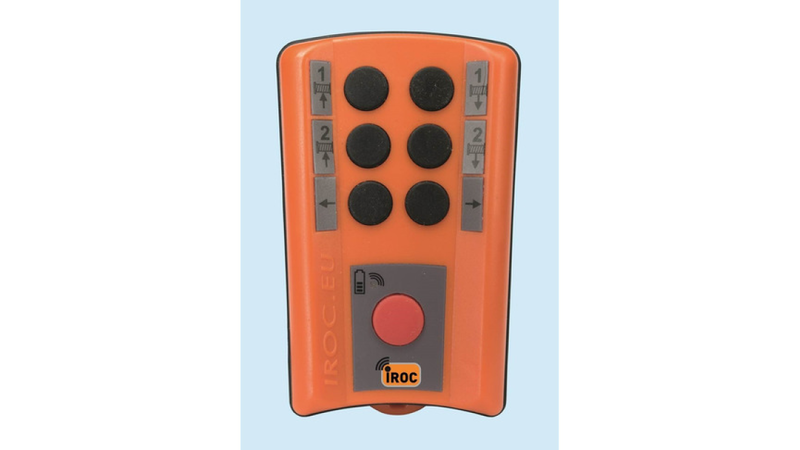 The IROC standard transmitter TX6CS is a small versatile transmitter. It has a robust design and handles rough conditions without problem. A powerful rechargeable battery guarantees a reliable and trouble free operation. Just store TX6CS in the charger when it is not in use and it will always be ready to work. Together with the IROC standard receiver RX06, the TX6CS can be used for winches, tail lifts, industrial doors, mobile units and many other industrial applications.